Today, This American Life announced that it is retracting Mike Daisey's monologue on Apple in China. 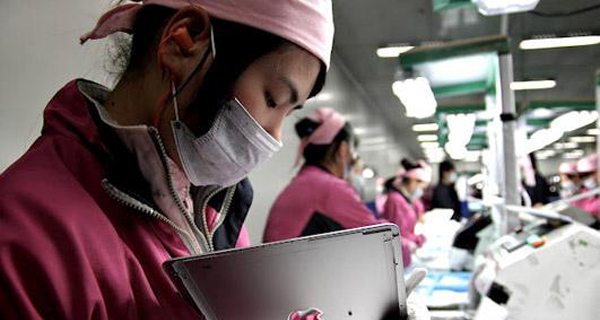 This weekend a new episode dedicated entirely to factual coverage of Apple's suppliers in China and revealing Daisey's lies will air. Daisey's response? His only regret is allowing This American Life to air excerpts of his monologue as factual journalism. Never mind the fact that he knew before the piece aired that the program was fact-checking his work. Never mind that he knew that the most poignant vignettes of his monologue were entirely fictional. There are two things that need to be said about this debacle. First, not every story on This American Life is factual. Am I the only one sick of David Sedaris talking as a mouse? But they're pretty good about differentiating between story telling and telling the story of life. Daisey, on the other hand, claimed that his entire monologue was based on meeting actual people. The second thing I must admit is that fiction can deepen people's understanding of current events and history to a much greater degree than fact. The classic example is Grapes of Wrath. A more recent, and more flawed, example is Acts of Faith. There is deep power is story telling. Characters drawn by an expert hand can deepen our understanding of The Other and help us grapple with the shades of grey created by the human condition. He's never actually seen one on, this thing that took his hand. I turn it on, unlock the screen, and pass it to him. He takes it. The icons flare into view, and he strokes the screen with his ruined hand, and the icons slide back and forth. And he says something to Cathy, and Cathy says, "he says it's a kind of magic. Let me be clear: putting words in the mouths of workers injured in the production of your prized technology, making them claim to appreciate the majesty of your toy, is not and will never be acceptable appropriation of another human being. Exploiting people, especially people whose language and culture you don't even pretend to try to understand, is worse than paying them to work for your company. Daisey does admit one thing in his monologue - that he knew nothing about China before starting on his journey to find out where his Apple products come from. From where I sit, putting words in the mouths of victims is more heinous than not letting them speak for themselves. Why do white people do this over and over again? It really isn't that hard to honestly translate people's reactions to the world around them. And if you don't think that's dramatic enough to hold an urban audience's attention for 90 minutes, then maybe you haven't done enough research. I am glad the NY Times reported factually on the manufacturing of Apple products and I'm glad global consumers are challenging Apple to maintain higher standards in the production of their products. Let's just be clear on a few things: if you can't speak a Chinese language, if you haven't studied modern China, and if your one experience of China involved paying an interpreter to help you see one urban area then you are in no position to speak for Chinese people. Whether presented as fact or fiction, the idea that a white man with zero understanding of China can speak for a man mangled in the production of iPads is ludicrous. The best fictional indictments of economic problems are based on factual reporting. Steinbeck wrote newspaper accounts from migrant farm camps in California before starting his book. The accuracy of his depictions is why his book was burned when it was originally published - the 1% never want to admit they're exploiting the 99%. But for goodness sake, don't think neocolonial crusades are going to change global manufacturing. I'm excited about the technological improvements in the new iPad. And I'm hopeful that the public will be holding Apple more accountable for its production process. I also worry about the environmental, health, and cultural damage done to China by its rapid modernization. I worry about the Chinese government's denial of individual human rights in pursuit of collective progress. Though my husband is Chinese and I've read The Joy Luck Club, I wouldn't attempt to write Chinese characters without extensive additional research. It's time US storytellers learn the limit of their gifts. The human experience may be universal, but each person's story deserves to do more than justify your material consumption.